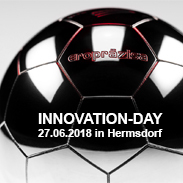 INNOVATION DAY by EROPRÄZISA – 3D MicroPrint GmbH will be present! We are proud to cooperate with EROPRÄZISA, a well-versed and competent partner for the mandatory post-process treatment step of removal of the micro components from the building platform. Be prepared to get inspired by technological innovations and the “GET TOGETHER” with colleagues, end users and industry professionals.